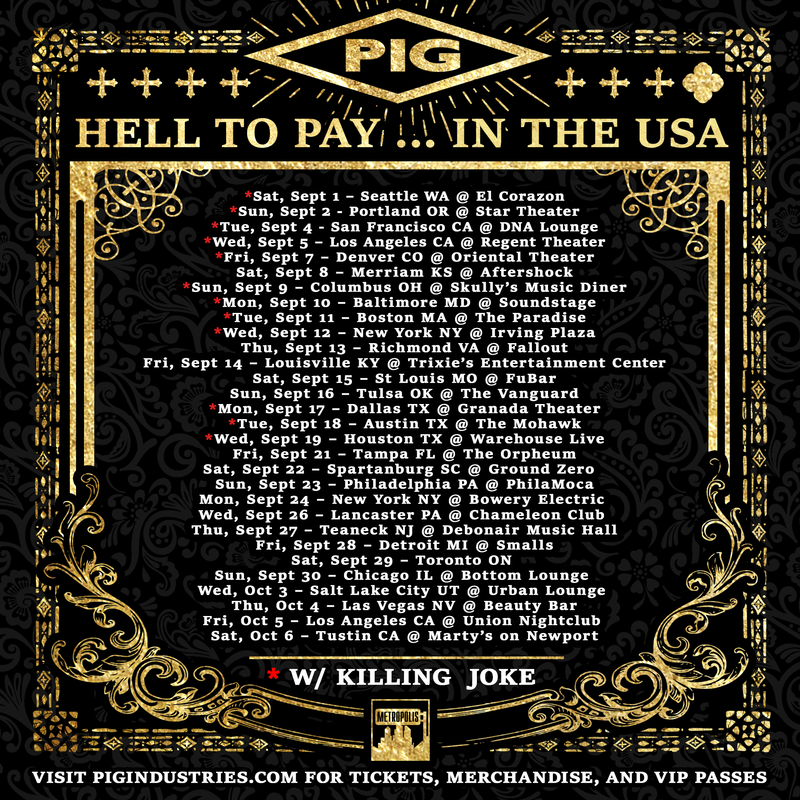 <PIG> kicks off their North American tour supporting Killing Joke this weekend with their first date on Saturday, September 1st at Seattle’s El Corazon. Tour dates below. 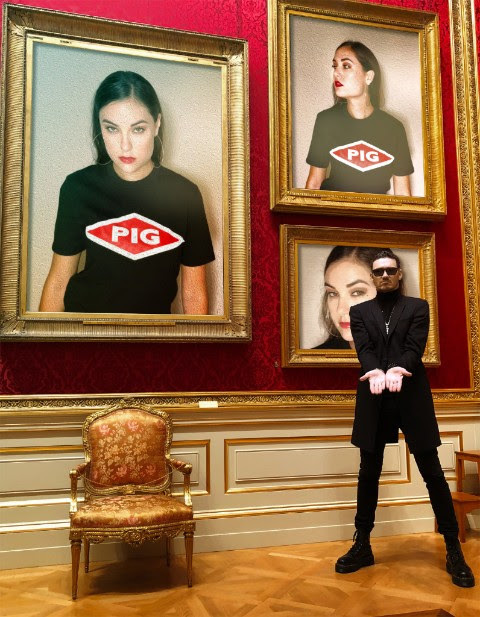 Watts and <PIG> have had a very exciting and active history since his beginnings in the late 80s. Aside from his groundbreaking albums, he has been a visible part of the industrial music scene since the early 1980s. He has toured with KMFDM (of which he was also a member), Nine Inch Nails, Schaft, Schwein, and Einstürzende Neubauten, among others. 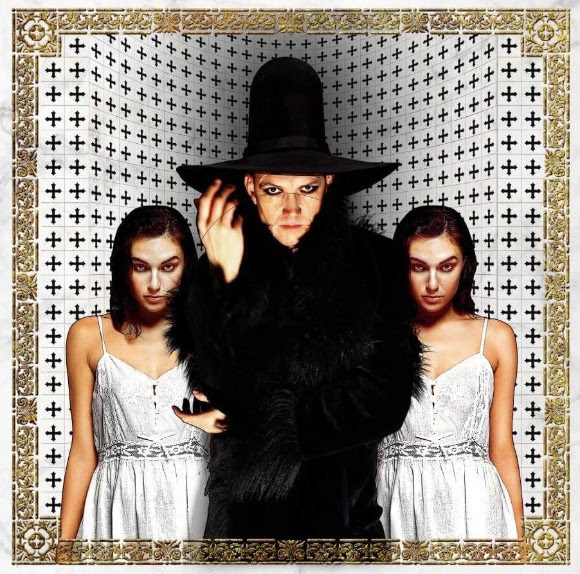 He has written music for fashion and film for Chloe, Marios Schwab, Halston, The Row and the sound design for the exhibit Punk: Chaos to Couture at NYC’s Metropolitan Music of Art. But the most ground-breaking and perhaps most rewarding was his collaboration with the late and immensely celebrated fashion icon Alexander McQueen who commissioned Watts and his old Psychic TV partner-in-crime John Gosling to embellish the serene instrumental track “Inside” (from <PIG>’s Genuine American Monster album). The fluid soundtrack to McQueen’s masterpiece, Plato’s Atlantis, the show was reprised after McQueen’s untimely death as the finale of Savage Beauty, the posthumous retrospective that broke all records at The Metropolitan Music of Art in New York and Victoria & Albert Museum in London. The eponymous EP include remixes from his previous album Risen by some notable names in the Post-Rock genre such as Stabbing Westward, Hanzel und Gretyl and Ego Likeness.